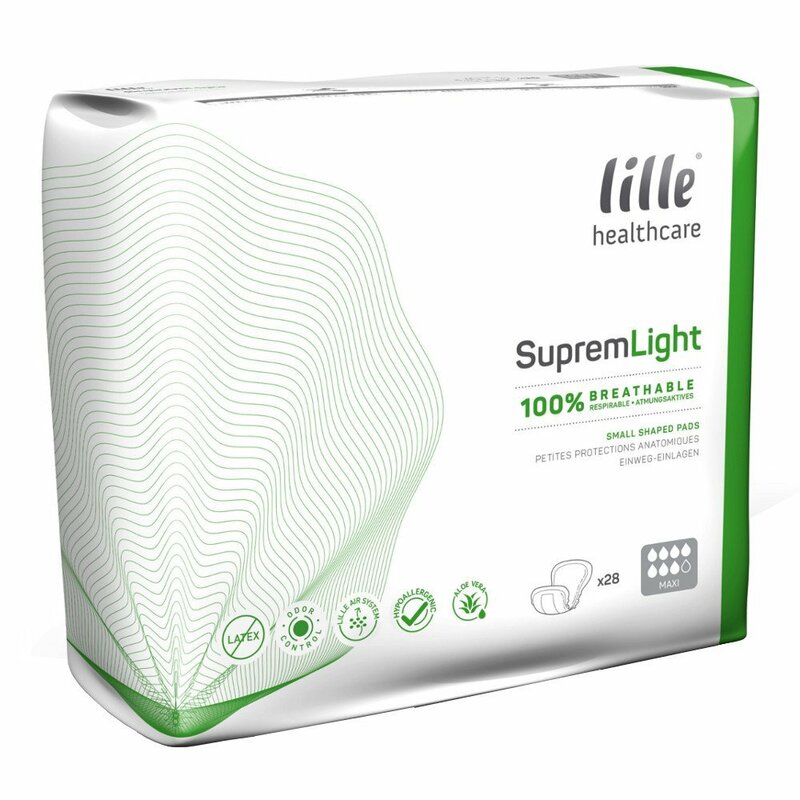 Lille Suprem Light is a range of products for managing light to moderate incontinence. 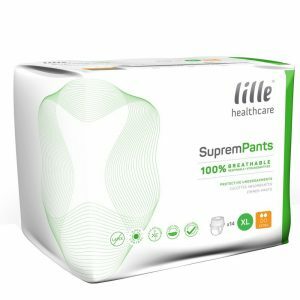 They are designed for the small urinary losses caused by bladder weaknesses. The Suprem light has an anatomic shape for a better fitting and more comfort, whilst remaining discrete. 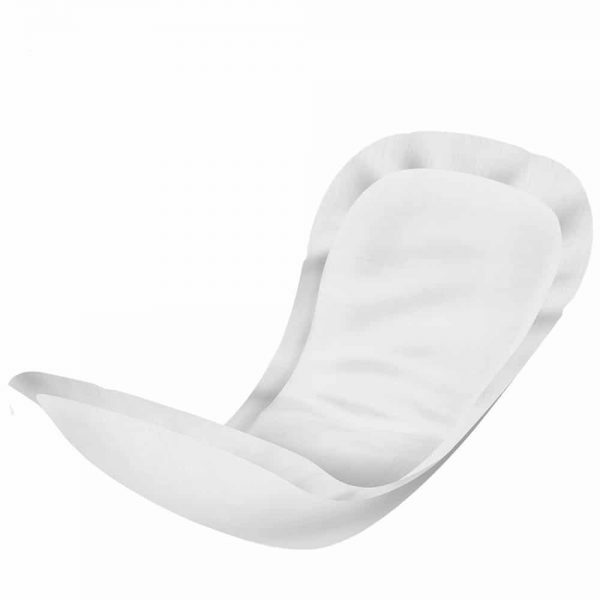 A peel off strip helps to keep the pad in place, greatly reducing the risk of leakage and the super absorbent polymer provides a faster absorption and helps to keep the user dryer, longer. 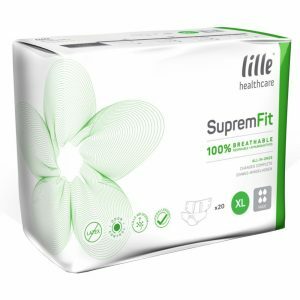 A new generation super absorbent polymer maximises the absorbency level and neutralises odours. The acquisition layer improves the rate of absorption, greatly reducing the risk of leakage and any potential feeling of wetness. To maximise skin integrity the Lille Suprem light are breathable and hypoallergenic.